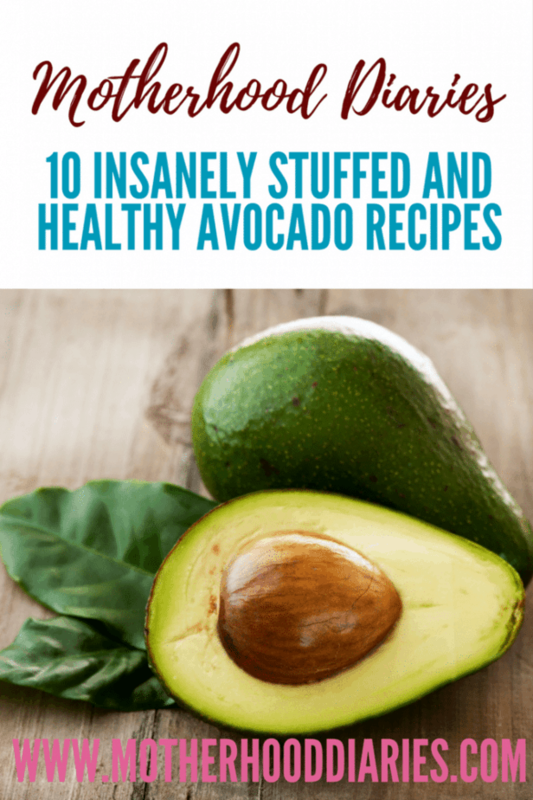 Ten of the most insanely stuffed avocado recipes that you may not have had the pleasure of trying. Enjoy! Avocado is a pear-shaped green fruit with bumpy skin. It’s an incredibly healthy fruit, loaded with nutrients including 20 different vitamins and minerals. It is high in healthy fats and thus it doesn’t contain any cholesterol or sodium. It is also rich in fibre (7% in weight) which is known to reduce blood sugar spikes, aid in weight loss and lower the risk of many diseases. People who consume avocado often tend to be healthier than those who eat it rarely. By healthier, I mean they take in a higher percentage of nutrients and are half as likely to have metabolic syndrome, a known risk factor for diabetes and heart diseases. 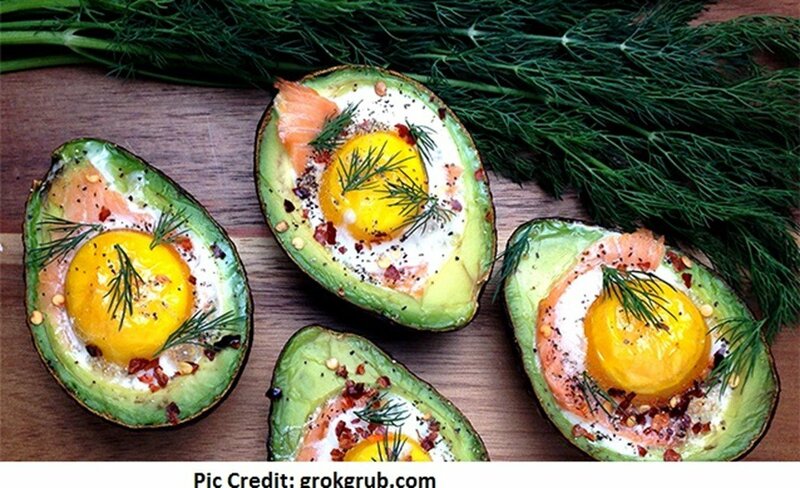 Avocados also contain antioxidants such as lutein and Zeaxanthin, which are important for eye health. They reduce the risk of cataracts and macular degeneration. Preheat the [easyazon_link identifier=”B01LZUEARP” locale=”UK” nw=”y” nf=”y” tag=”motherho-21″ cart=”y” cloak=”y” localize=”y” popups=”y”]oven[/easyazon_link] to 375 degrees. This recipe ensures nothing goes to waste, and everything is utilised well. 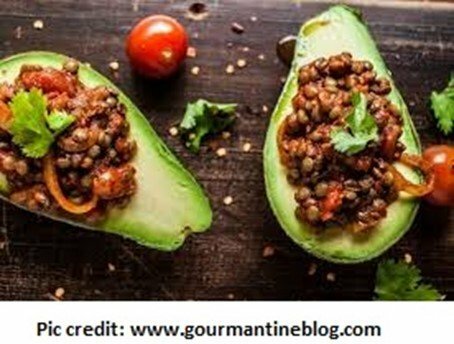 You will need and two avocados, a diced tomato, two cups of cooked quinoa, a cup of feta cheese that is crumbled and salt and pepper. Slice the avocados in two halves and gently make crisscrosses in the flesh. Ensure not to cut the outer skin. Scoop the avocado pieces into a bowl, leaving the outer flesh like a bowl. Pour in the cooked quinoa and tomatoes into the pieces and mix evenly. Don’t mix vigorously unless you want it creamier. 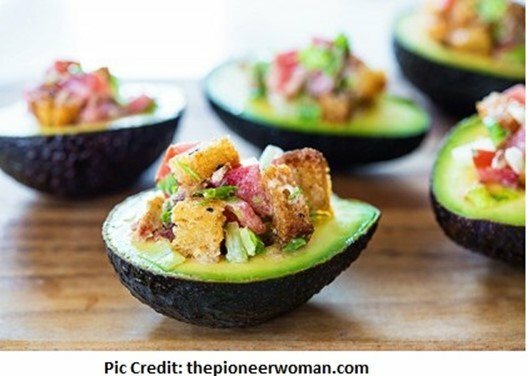 Fill the avocado shells with the mixture and add the cheese on top. Cook in the oven for ten to twelve minutes until all the cheese has melted. Add some salt and pepper to taste, and then serve immediately. This meal is easy to make and tastes amazing. Simple combine together two chopped tomatoes, 2/3 cup of crumbled feta cheese, two teaspoons of olive oil and parsley, a teaspoon each of red wine vinegar and oregano, 1/3 cup of chopped red onions and salt and pepper to taste. Then spoon the mixture into halved avocados that are pitted and peeled. Serve instantly. The tantalising taste will simply make you crave more. 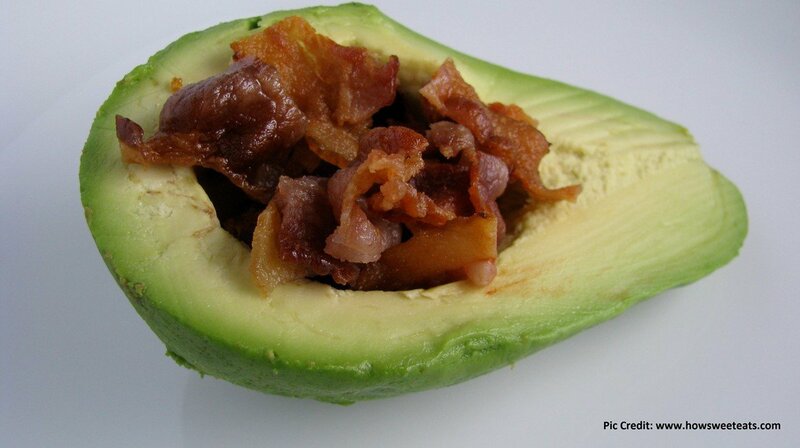 Into one-half of the avocado, sprinkle some chopped bacon, balsamic vinegar and sea salt. It’s easy to make and calls for an excellent snack instead of junk food. Place two halves of an avocado into a baking pan. You may scoop some of the flesh out to create some more space. Crack an egg into each pit (allowing the white part to spill out). Add your favourite seasoning and salt to taste. Bake until the top is golden. Quite a treat for breakfast. Preheat the oven to 400 degrees. Combine sliced tomatoes, spinach leaves, cooked crumbled bacon, mayonnaise, cubed French bread, and some salt to taste. Cut an avocado into halves. Rub the outside of the halves with some fresh lemon juice. Place onto a non-stick baking sheet and stuff them with as much mixture as they can hold. Place in the oven and let cook until the filling has turned light golden brown. 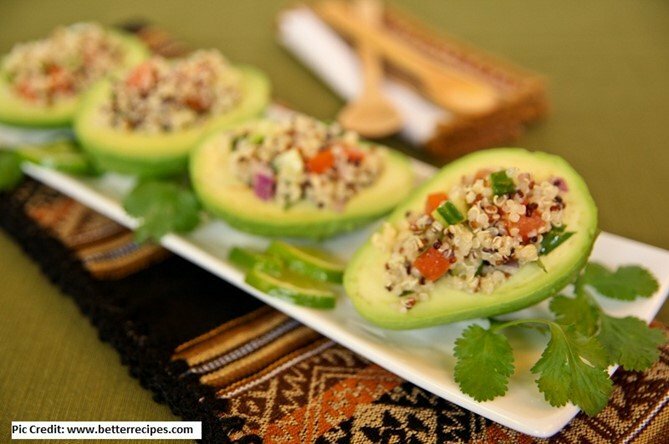 This healthy snack consists of avocado stuffed with quinoa salad. To make the salad, use quinoa, tomatoes, sweet potatoes, red onion and corn. Then stuff the pits of the avocado with the salad. Place in the oven to bake. It makes a great meal for vegetarians. This cooling taste of strawberry salsa is a great addition for summer time or hot weekends. 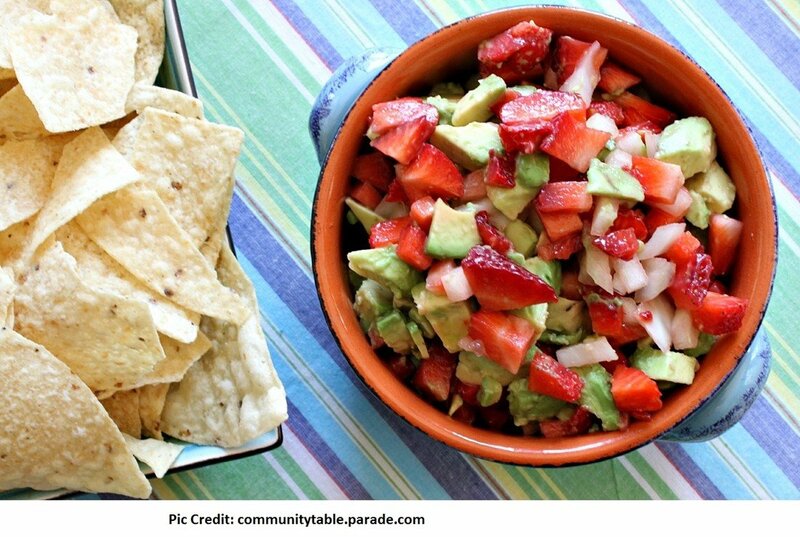 To make the strawberry salsa, combine strawberries, green onions, lime juice, jalapenos and mint. Stuff half an avocado with the mixture. Add some breadcrumbs, lemon juice, garlic, basil and Parmesan cheese to your salsa. Stuff the halves of avocado with this mixture. Then, sprinkle some salt and pepper to taste. Bake in the [easyazon_link identifier=”B01553F52E” locale=”UK” nw=”y” nf=”y” tag=”motherho-21″ cart=”y” cloak=”y” localize=”y” popups=”y”]oven[/easyazon_link] until cooked. Lentils are a great source of protein. 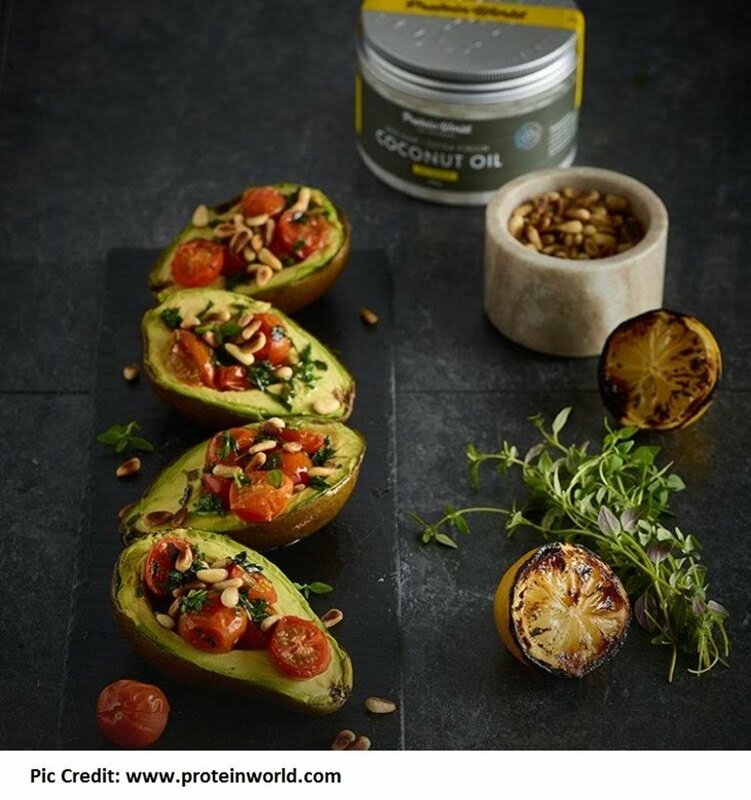 When combining with the avocado nutrients, you will just be bursting with health. Mix lentils with some homemade tomato sauce. Stuff avocado halves with the mixture and bake for about eighteen minutes. 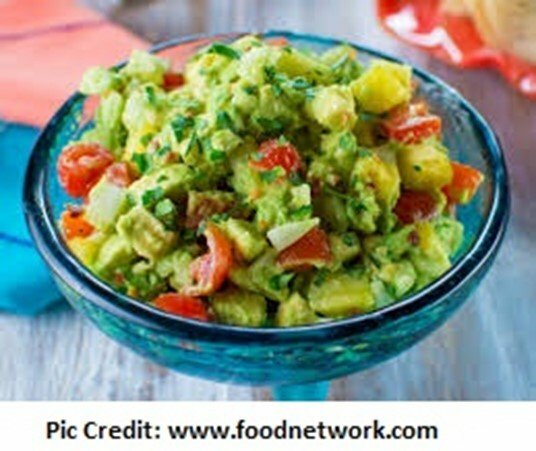 All you require is an avocado, some herbs, cherry tomatoes, lemon juice, pine nuts and salt and pepper to taste. Mix all other ingredients except the avocado. Then stuff the avocado with the mixture. The avocado should be grilled. Ways of using avocados in snacks are just limitless. Try the above recipes and if you come up with your own, please comment in the box below with your recipe suggestions. I hope you enjoy the health benefits of eating [easyazon_link identifier=”B003O3JUJ2″ locale=”UK” nw=”y” nf=”y” tag=”motherho-21″ cart=”y” cloak=”y” localize=”y” popups=”y”]avocados[/easyazon_link]! Did you like this post? 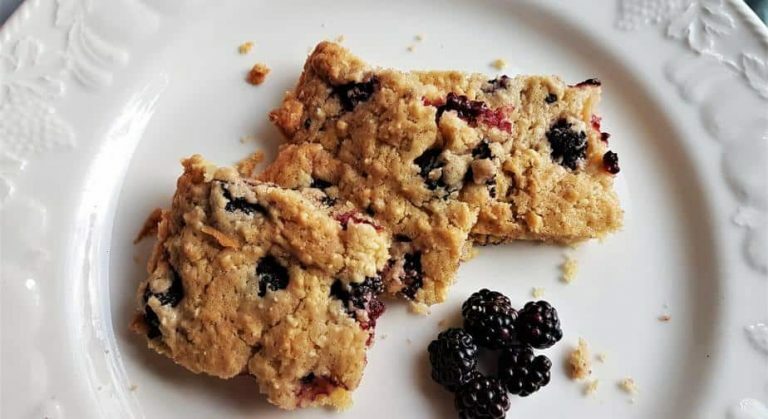 Check out more recipes here! Katleen Brown is a health, beauty and fitness writer. She is a long-time native from Ashburn, Virginia, USA, who loves to publish her articles on various health related websites. In her spare time, she like to do research and write articles to bring awareness to the most recent health and beauty problems, and innovative remedies that can help save the lives of people while bringing down the costs of health care. She loves to be the world’s leading authority in the field of a healthy lifestyle fitness by providing wellness information. Recognizing the unity of body, mind, and outlook, she helps empower women to tune into their innate &; inner wisdom to transform their health and truly flourish. 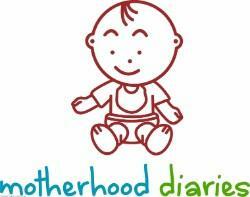 Get in touch with her on Pinterest and Twitter.